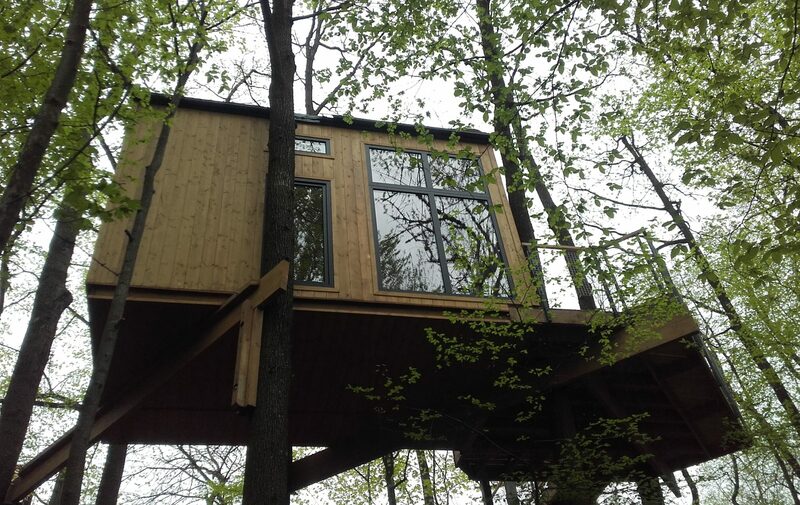 Our tree house is designed for everyone who likes nature, would like to try, how it is to spend time during the day eg. sitting on the terrace or at night sleeping near trees at an altitude of almost 6 meters. We invite you to rest and “recharge the battery” in the unique atmosphere of the Little Carpathians. Youth, the elderly, families with children or couples – everyone is welcome. During your stay in our treehouse, your neighbors become squirrels, forest birds: titmouse, woodpeckers, cuckoos and other, stag beetle, salamanders, grass snakes, hedgehogs and seasonally skylights.